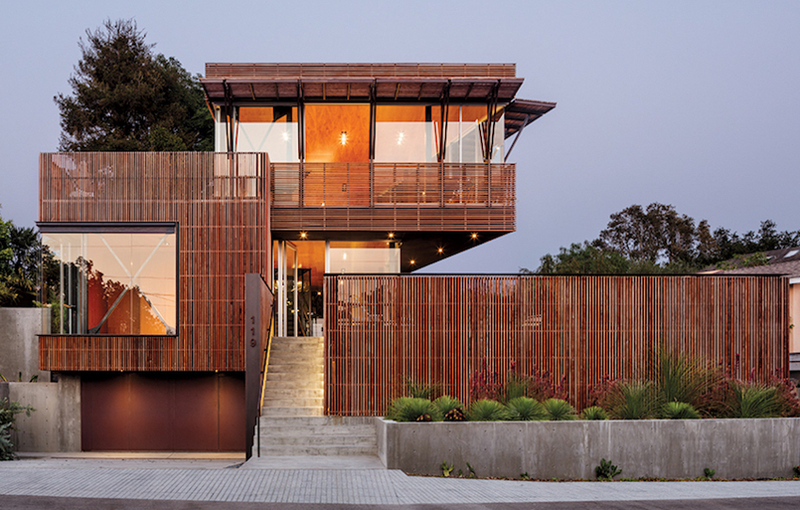 Define the innovative design strategies employed in domestic residential projects drawn from several of Architectural Record's Residential Building Type Studies and “Houses of the Month” project overviews. Explain how an integrated design approach can be strategically used in custom home design. Discuss how the design teams created optimal environments, taking into consideration contemporary aesthetic trends, sustainability goals, and the context of surrounding landscapes. Describe the range of design approaches and materials employed on a variety of custom home projects. 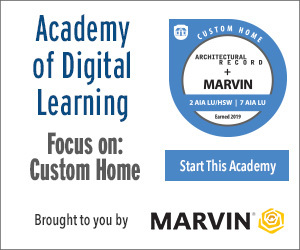 This course will look at a number of Architectural Record Residential/Custom Home Building Type Studies and “Houses of the Month” project stories from locations across the United States, with a focus on modern design approaches, sustainability practices, and unique building materials. Inspired by its site, a surprising house in Los Angeles is designed to be experienced from the top down. The creator of the Rigorous Living Building Challenge designs his own super-sustainable dwelling. An unusual house constructed of upcycled shipping containers cuts a striking figure in Brooklyn. A California firm works with an industrial designer client to create a contemporary home in the Santa Barbara hills. A New York firm revisits the site of its first residence to create a relaxing backyard retreat in the Hudson Valley for a longtime client and friend. A vibrantly colored house in suburban Milwaukee projects shades of summer all year long. A Bay Area firm creates a customized mountain retreat for outdoorsy clients.